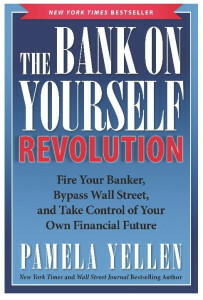 Are you ready to join the Revolution and take control of your own financial future? Take the first step today by requesting your FREE, no-obligation Analysis (if you haven’t already). 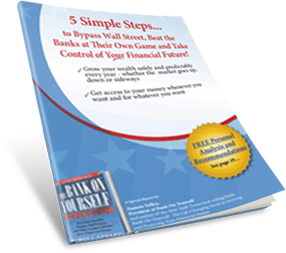 Request your free Analysis and find out how the Bank On Yourself method can help you reach your goals and dreams! Just finished your new book and loved it. It seemed so much easier to grasp the concept in this one as compared to the first. I’m in the second year of my Bank On Yourself program and have been extremely pleased. Though my parents were kind of leary about me getting involved they read your new book from cover to cover and are now glad that I got something like this started. Thank you so much for helping out the little guy. Thank you so much for the kind remarks! I’m really happy that you enjoyed the new book and that your parents approve. Thanks so much for sharing your story, Doug! It’s very inspiring and you’ve echoed the same thing so many others have – they wish they knew about this sooner. And that’s why I’m so passionate about sharing it with people. I had the privilege on being on your teleconference a few days ago. I simply love each of your books that you have written. I remember clearly the morning I first heard of this concept …. and quickly went to your website to learn more. I loved what I read and at that moment, I was ready to quit all of my other investments, but since this would be a big financial change in our family I needed my husband to be totally on-board with it, so he read your report/website too. The main reason why I love this book is that you do a great job explaining, HOW the concept work! Almost the nuts and bolts of it. Your first book, shared more stories of how others are using it and the versatility of the concept and the wild age range that can be used for it. We started the Analysis and was connected to a great adviser, Chip Wittrock and the first call was so no-pressure with a heart that cared about us and our story. I’ve talked to Chip and his staff no less than twice a year and we’ve had our policies in effect since November, 2009. I bet I share this with others almost weekly and encourage them to learn more. After all it is your future, your retirement and no-one care more about you, than YOU!. 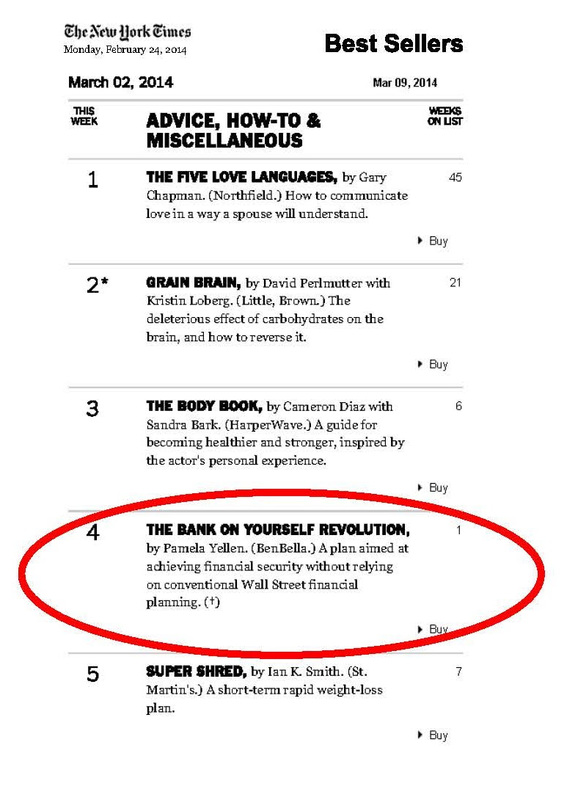 And in the grand scheme of things, many other account advisers are not worried about “Small accounts” that countless of “Typical Americans” have, there are simply to many of them to give the personalized attention the way I’ve experienced here. So, I could go on and on … but I’ll simply say Thank you! Thank you! And Thank you to Chip and his staff! Thanks, Kelly! You made my day!